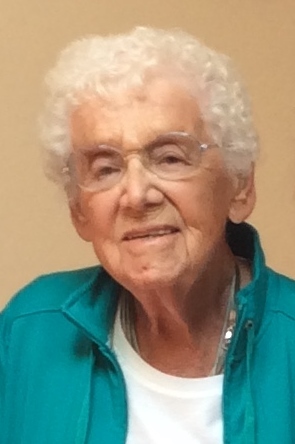 Jane Lawson Anderson, formerly of 20 Norwood Ave., Jamestown, N.Y., died on Nov. 21, 2016, in Tucson, Ariz., at age 96. An area resident most of her life, she was born May 16, 1920, in Jamestown, the daughter of Ernest A. and Jennie Jones Lawson. Jane cherished growing up with her many Jones and Lawson cousins. Jane was a life-long member of First Lutheran Church in Jamestown. A 1938 graduate of Jamestown High School, she went on to Columbia University Presbyterian Hospital School of Nursing in New York City. Upon her return to Jamestown, she was employed as a school nurse in the Jamestown Public Schools from 1965 until her retirement in 1981. On July 25, 1942, she married Roy L. Anderson in New Orleans, Louisiana. They were married 53 years until his death in 1995. They moved to Arizona in 1983 where Jane worked in the gift shop of the Arizona Inn in Tucson and continued her love of painting, gardening and cooking for family and friends. Surviving are four children: Priscilla Crickard (late Kipp) of East Amherst, N.Y., Linda Simon (Daniel), Charles Anderson (Becky) and Daniel Anderson of Tucson, Ariz.; granddaughters: Darcy Crickard of Cheektowaga, N.Y., Kara Crickard of East Amherst, N.Y., Elizabeth Lam (Brian) of Flushing, N.Y., Sara Stewart (Erik) and Alexis Lopez (Tony) of Tucson, Ariz., and Danielle Anderson of Rochester, N.Y.; great-grandsons: Hudson Stewart and Chase Lopez; dear family: Barbara Anderson of Tucson, Ariz., and Patricia Martines of Jamestown, N.Y.; and many nieces, nephews and cousins. Memorials may be made to the First Lutheran Church Memorial Fund, 120 Chandler St., James- town, NY 14701 or Soreo Hospice, 2475 E. Water St., Tucson, AZ 85719. Burial will be at a later date in Lakeview Cemetery, Jamestown, N.Y., at the convenience of the family. Care is entrusted to Angel Valley Funeral Home in Tucson, Arizona.